Always RELIABLE…and Always a FANTASTIC EXPERIENCE! 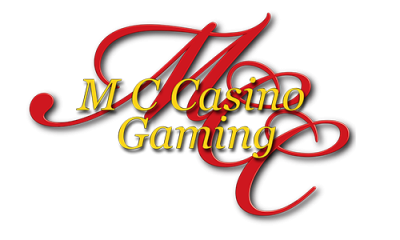 We are southern California's premiere casino party and event planning services company. You can find and book our casino rentals throughout Los Angeles, Orange County, San Diego County, and more. We have delivered the finest experience in casino based events available in southern California. We specialize in casino party rentals in the Los Angeles and Orange County area! Our casino equipment is actual wood grain, luxury furniture, not homemade or poorly-constructed tables that your guests will not enjoy. We have Blackjack, Craps (using real dice), Poker, and Roulette. Not only do we have casino party rentals in the Orange County and Los Angeles area, we also provide a great staff for your event. Our dealer staff are friendly, experienced, and willing to share their knowledge with your family and friends. Your guests will always get a World-Class experience with us. What kind of casino party do you want to have? Whether it's a birthday or a huge corporate event we will bring the real feel of a full blown casino to you! We have a cost effective hassle free solution for group entertainment. With our casino night party rentals in the Orange County and Los Angeles areas, we will customize a package of the most popular and exciting casino games that your family and guests want, at an affordable price. Your party event will be the talk of the town, and everyone will leave with a positive, memorable experience. Our casino night rentals for the Los Angeles and Orange County areas include Blackjack, Texas Hold ‘Em Poker, Craps, Roulette, and all the major table games. Our inventory of casino party rental equipment is top-notch, authentic, and regulation size. The friendly, knowledgeable dealers that come with our casino party rental games have worked in Las Vegas, and in major casinos from around the United States. For themed parties, such as Roaring 20’s, James Bond 007, Hawaiian Luau, 1980’s, Cowboy Western, or Vegas “Rat Pack”, our casino party rental tables will add a fun, interactive touch to your event.